Company Profile - A.A. Politiv (1999) LTD.
Poly-Ag Corp. was established in 2003. Located in San Diego, CA. We specialize in “Advanced” polyethylene films and a wide variety of nets for the agricultural sector. Poly-Ag Corp. is affiliated to A.A. Politiv Ltd. (1999) Enterprises; one of the world’s leading manufacturers of agricultural polyethylene films since 1985. Poly-Ag Corp. has earned a reputation for reliable and dedicated service, thereby providing timely delivery without compromising the quality of our products. In addition to the US market, Poly-Ag Corp. is active in Mexico, South America and Central America. Our polyethylene films are custom-made to meet the specific needs required according to each use; this is possible through close collaboration with accomplished agricultural experts and actual growers around the world. Efficient product distribution is made possible by successful coordination in logistics management and our warehouse facilities. Our vast inventory availability allows us to respond efficiently to the varied conditions of the agricultural sector. 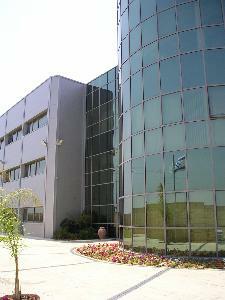 Poly-Ag Corp. provides reliable solutions and is backed by the 30 years of experience and expertise on the part of A. A. Politiv Ltd. (1999). Politiv has a large-scale production capacity in Israel, which houses state of the art machines capable of meeting market demands in Israel and 50 other countries we export too. These include some of the most advanced multi layered machines in the world. They have exceptionally high accuracy levels, as well as a computerized control interface. The data entry layout is completely computerized, preventing errors and omissions in the composition of materials. Daily production is operated by Politiv's highly- skilled and experienced production team. All of our products are tested according to ASTM and International standards before they are shipped to the customer. (ASTM and ISO click here to view the standards) Tests are conducted around-the-clock in a fully equipped state-of-the-art laboratory by a team of highly reputable technicians. The factory is in compliance with the guidelines of the ISO-9001:2008 quality control system. We strive to maintain long term relationships with our clients, as we provide them with technological support. Poly-Ag Corp. standard is to provide excellence in Customer Service and maintain Customer Satisfaction in a very competitive environment. This is achieved through team work, diligent effort, along with continuous product research and development. We are consistently striving to implement new work place practices with the ultimate goal of sustaining customer confidence.